He also promised to raise the question of compensation for Crimea and Donbas. 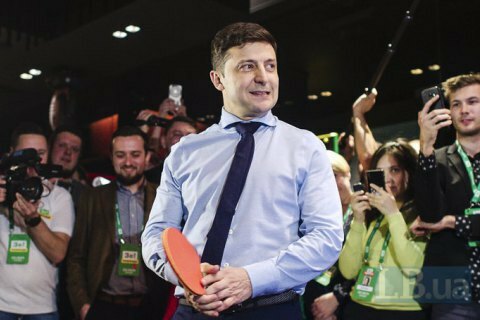 Presidential election frontrunner Volodymyr Zelenskyy has said that he will meet Russia's Vladimir Putin after the occupied territories are returned. "If I meet Mr Putin, I will say: you have finally returned our territories. How much money are you ready to compensate for the seizure of our territories and help you provided to people who took part in the escalation in Crimea and Donbas, the help in this horrible, cruel and disgusting way?" he said at a briefing in his HQ. According to the National Exit Poll, Zelenskyy is likely to see incumbent President Petro Poroshenko in the runoff.